Nadi Jothidam is the name of an 'exact science' by which all details about a person can be told by consulting palm-leaf inscriptions attributed to Agastya Muni, a very famous ancient sage from the South. Ganesha, the elephant-headed god and the son of Shiva (and plenty of other titles), has graced this Earth by revealing himself to us as a 4-foot-tall embodiment of beauty and grace. A reason-based alternative to Shashi Tharoor's views on Hindu-Christian violence in India. Nature is what inspires me now that I have rejected religion and the idea of God. The scope and vastness of the universe is extremely inspirational. The realization that millions of Indians are still prisoners of the physical and mental abuse that unreasonable ideologies use to restrain minds, forces me to dedicate myself towards the cause of free-thought. 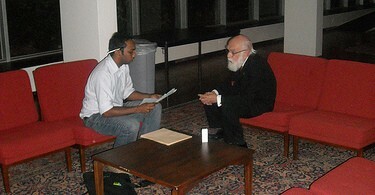 Last week I had the fortune of recording an interview with James Randi at one of his amazing lectures in New York City. I asked him about issues concerning rationalism and skepticism in India. 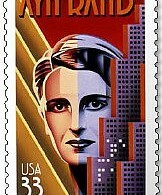 There's no way to square Objectivism's ostensible commitment to scientific objectivity, reason, and anti-supernaturalism with the idea of a self-made soul. The media is very conveniently present to report on these events. The defenders of morality seem to thrive on this publicity. Religions preach an immutable morality that is inconsistent with the way human societies evolve.